KASAI Elite Grappling Championships has added two more contenders to the KASAI Pro 2 World Middleweight Championship tournament with the signings of DJ Jackson and Richie “Boogeyman” Martinez. 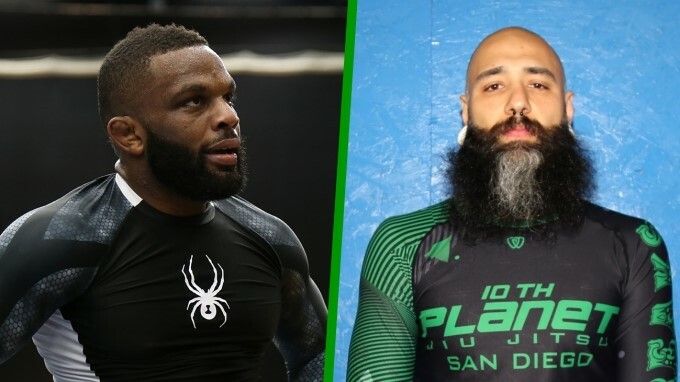 The jiu-jitsu black belts and professional MMA competitors join Matheus Diniz and Craig Jones in an eight-man showdown for supremacy at 185lb. KASAI Pro 2 goes down April 14 at the Greenpoint Terminal Warehouse in Brooklyn, New York. Jackson, 29, is a Team Lloyd Irvin black belt and a five-time No-Gi world champion from blue to black belt. Martinez, 33, is the first of Eddie Bravo’s 10th Planet Jiu-Jitsu black belts to compete in KASAI.